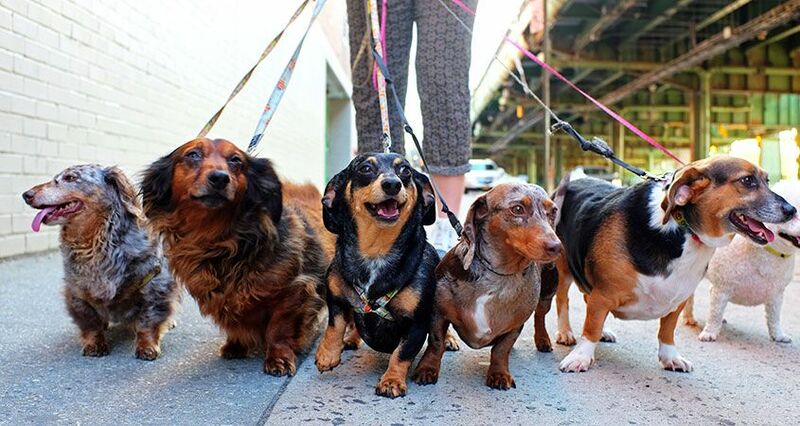 Today is part of Walk Your Dog Week (Oct. 1 – 7). It’s difficult to walk my dogs. Milton is moving like an old man lately because of his arthritis, Veronica’s legs are extremely short, so she gets tired covering a minimal amount of ground. Mona was born with no knees in her back legs, which means she basically takes a step forward with her front legs and then hops her back legs to follow which means she gets tired fast. So our big outings are down to the end of the driveway and across the one-lane road into Kathleen’s massive yard and then a turn to the left down past our mailbox and into Carl’s yard to see if Jackson wants to come out to play. Jackson is basically a grumpy old man in tiny terrier form, but Milton and Mona love him, so he will occasionally stand on the deck and let them appreciate him. Then we turn around and walk back and take a nap.